As the sun sets and the skies begin to darken during the second week in December, small lights begin to wink on across central Palm Springs. The LEDs are generally from smartphones and small flashlights though it&apos;s not unusual to see headlamps for the more experienced and devoted. Streets begin to fill with people, milling about on sidewalks and in front of the Palm Springs Art Museum and the Woman&apos;s Club, and soon they begin purposefully striding in all directions. 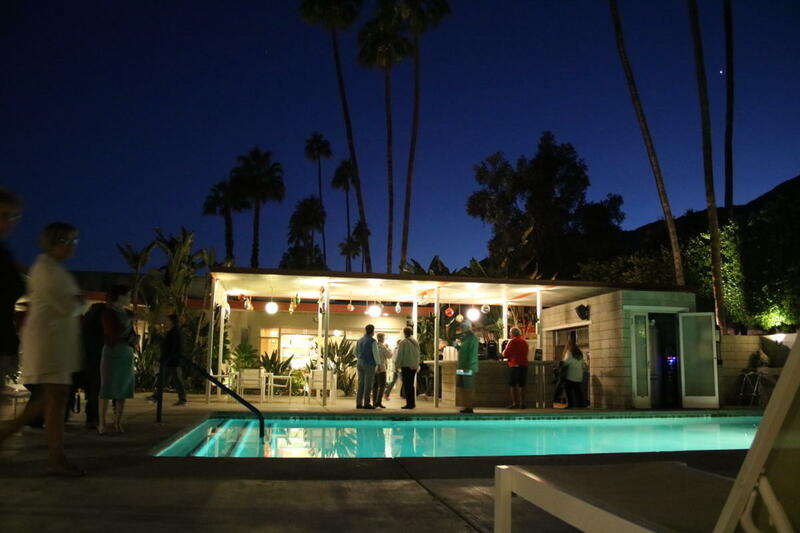 They&apos;re gathering for the Walk of the Inns, an annual one-night-only self-guided tour event that lets visitors stroll through several of Palm Springs most historic small hotels. This year, the 2018 Walk of the Inns is being held Thursday, December 13th, from 5 - 8 p.m. 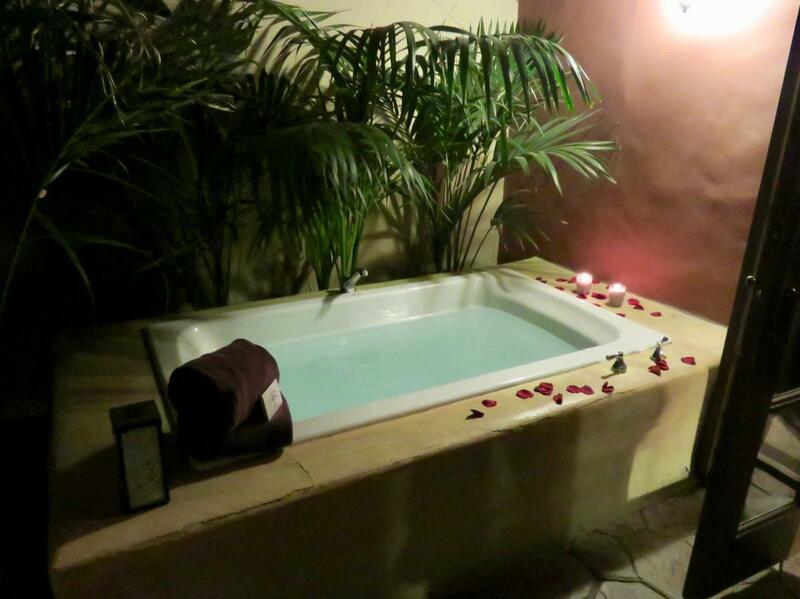 Many of the hotels that elect to take part are architecturally significant, or historic, but all of them are a feast for the eyes; expect beautifully manicured gardens, vintage chic, heritage colors, and modern design. While the lineup of participating hotels changes year over year, there&apos;s usually around twelve to fifteen hotels taking part. Maps listing the participating hotels will be available at both the Palm Springs Art Museum and the Woman&apos;s Club; both are designated as starting points for the Inn Walk. With maps in hand, walkers set off at their own pace, going from hotel to hotel, taking in the amenities, the properties and in many cases, the rooms. 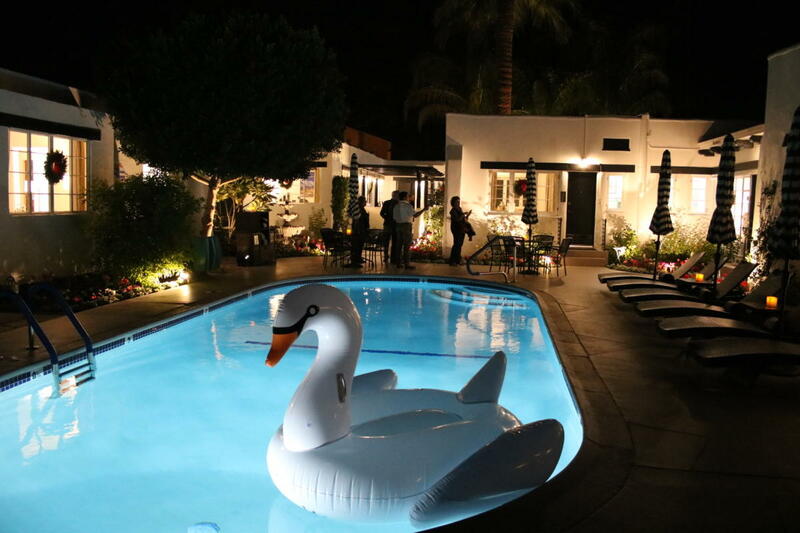 It&apos;s a unique opportunity to see inside many chic hotels all in one night, whether you&apos;re interested from an architectural or historical perspective, or you&apos;re looking for a place to stay on your next visit to Greater Palm Springs. The list of participants is still being finalized as of the posting of this article, so be sure to pick up your map on the night of the event. For those who&apos;ve never experienced the Inn Walk, it&apos;s a fun, festive atmosphere, with a chance for an up-close look at historic properties and one of the city&apos;s loveliest neighborhoods. Pools and grounds are lit up and many are decorated for Christmas, and many of the hotels taking part try to have at least one room open to view so visitors and travelers can experience what it&apos;s like to stay a night—or a week! "I would encourage newcomers to wear comfortable shoes and be ready for light refreshments as many stops along the way will have cider and cookies and things like that," says organizer Nichole Gawalis of Casa Cody. "The walk is really an incredible opportunity to explore our historic neighborhood and also to meet new people, as last year over 2,000 people participated." Experienced walkers bring flashlights because many of the streets are without streetlights, so it makes navigating curbs and uneven pavement a breeze. It&apos;s a favorite event with locals and it&apos;s not unusual for whole families to join in, and plenty of those who take part have been enjoying the event for years as a fun prelude to the holiday season. Plenty of tourists and visitors make time for the event too, scheduling their stay so they can attend since it truly is a great way to scout future stays. The event isn&apos;t just a chance to embrace modernism and design, it&apos;s also a holiday fundraiser for Well in the Desert. Walkers are asked to bring donations of new toys for children in need. "Toys for Tots and Well in the Desert will provide toy boxes at each stop on the walk and we encourage everyone to bring an unwrapped toy to donate," explains Gawalis. The toys are then collected and distributed to children and families in need. The Walk of the Inns has been a popular annual event for over twenty years. If you&apos;re in Greater Palm Springs this December, plan for a fun evening outing; attend the Walk of the Inns, then dine at one of the many restaurants along Palm Canyon Drive afterwards, or plan to take a stroll through VillageFest Palm Springs, the popular weekly street fair that&apos;s also situated on Palm Canyon Drive. It&apos;s a great way to get to know Palm Springs. If you&apos;re looking for more things to do this winter season, be sure to check out our Greater Palm Springs events calendar.